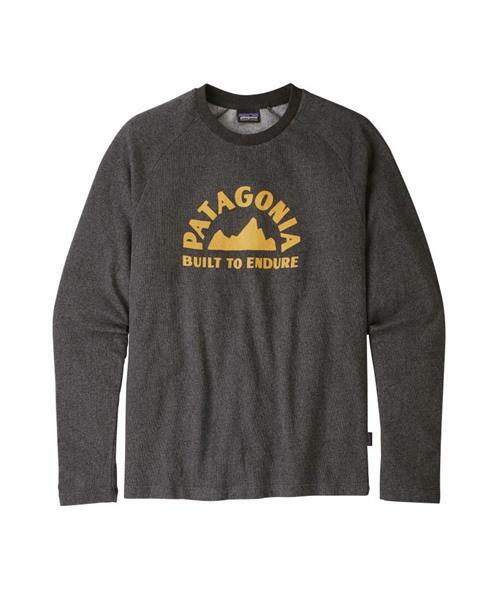 Inspired by the vintage National Park tees of the ‘70s, the Geologers Lightweight Crew Sweatshirt is named for the rock hound pioneers of climbing. The lightweight knit fleece fabric made of a soft organic cotton (88%)/polyester (12%) blend is durable and comfy. Original graphic art by Jolby & Friends is screen-printed at center chest with PVC- and phthalate-free inks. Casual, slim-fit crewneck sweatshirt style with raglan sleeves and open cuffs and hem provide the warmth of a sweatshirt in the clean look and styling of a long-sleeved T-shirt. Fair Trade Certified™ sewing.